First of all, let’s accept that not everybody needs a tracking function in his or her email signature. I don’t need one – my contact list is not quite big, and I don’t have to advertise myself via the mail-out. I use email signature only to make my letters look more professional and accurate. 80% of small business owners agree that email marketing is number one for driving customer acquisition and retention. Therefore, if you need to promote yourself, email marketing is your first step to success. And email signatures are a perfect and free tool to attract customers to your website, blog, or social media profile. How so? Think of your signature as a part of the marketing campaign. Promotional banners, clickable images, links – all these things can be organically included in your signature and benefit you in more traffic. Google Analytics is the essential part of your campaign. If you are not new in your business, you probably already use this Google service to track your site traffic. 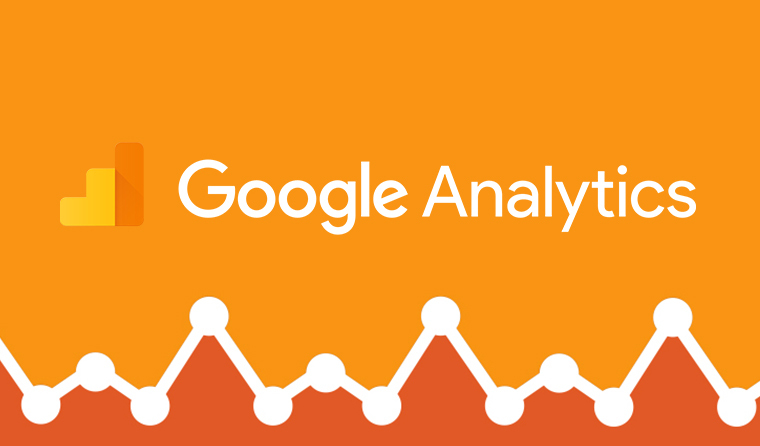 If not, you can get a closer look at what is Google Analytics in our previous article. Let’s return to our email signature. 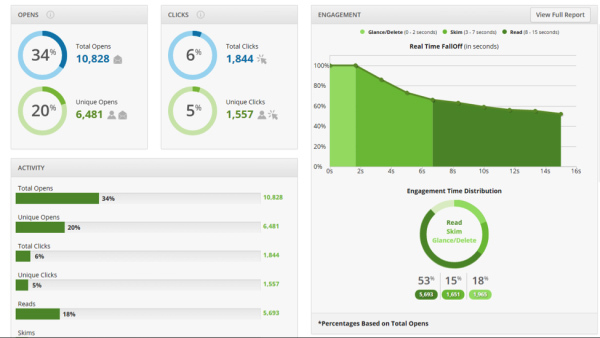 To make a marketing campaign efficient, you have to understand what are you doing and why. Statistics is the thing that helps you to get the drift of your audience and its needs. Adding some links or ads to the email signature, you would like to find out how many people click on them, where are they from, what kind of promotion they love the most. As a result of some experimenting, you are going to end up with the perfectly shaped, attractive, customer-drawing email signature that makes people visit your website, or contact you, or buy doughnuts – whatever you want them to do. To turn on a “God mode,” follow the guide below for including Google Analytics to your email signature. Go to https://ga-dev-tools.appspot.com/campaign-url-builder/ and enter the website URL and campaign information. Fill out the required fields (marked with *) in the form, and once complete the full campaign URL will be generated for you. Source will identify the source of the traffic – in our case it’s going to be our emails. 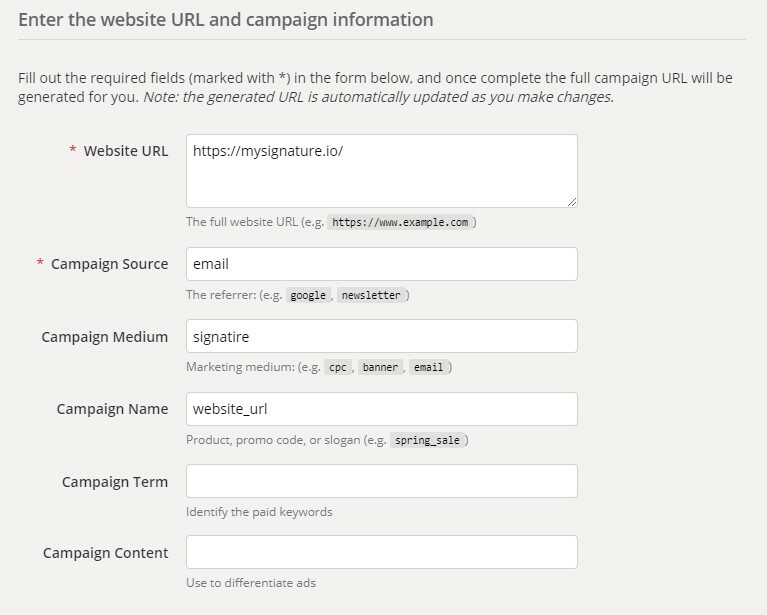 In Campaign Medium, we can write “signature” Campaign name specifies a particular promotion, website link, or banner (like, for instance, “get a welcome bonus,” or “petshop.com,” or “portfolio”). The URL will be automatically generated after you fill in all the required fields. Copy the URL to the field “link” in your email signature editor. You can add it to your photo, logo, banner, or other. By the way, it’s better to create several URL for each field, so that you could understand what works best. 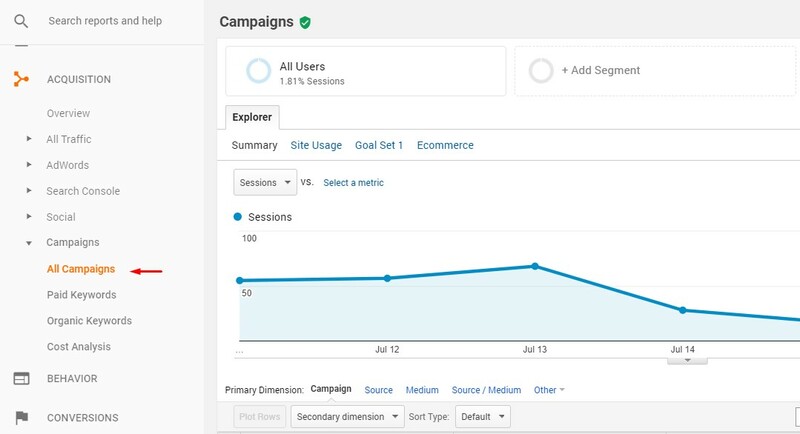 Just change the Campaign name in the Google Analytics URL Builder to have a separate statistics for each of your links. Then, just Save all the changes in your email signature. Reporting – Acquisition – Campaigns – All Campaigns. If you want to add some temporary links like special offers, sales, bonuses, etc., just edit your email signature and include a new picture or banner with the newly generated link. With such automated services as email signature generator and Google Analytics, you can experiment whenever you like without spending too much time on manual work. With time, you will understand what is the most “clickable” in your email signature, what offers or ads bring you the highest conversion rate, and who is your audience in general. The next step is giving your customers what they want and becoming a business guru. P.S. Here’s one impressive fact before you leave: the highest conversion rates have those working in pet service industry. People love their pets, don’t they?